Imagine If Your Phone Could Charge Itself Every Time You Set It Down. Now Stop Imagining and Buy This Table That Makes That Dream a Reality. 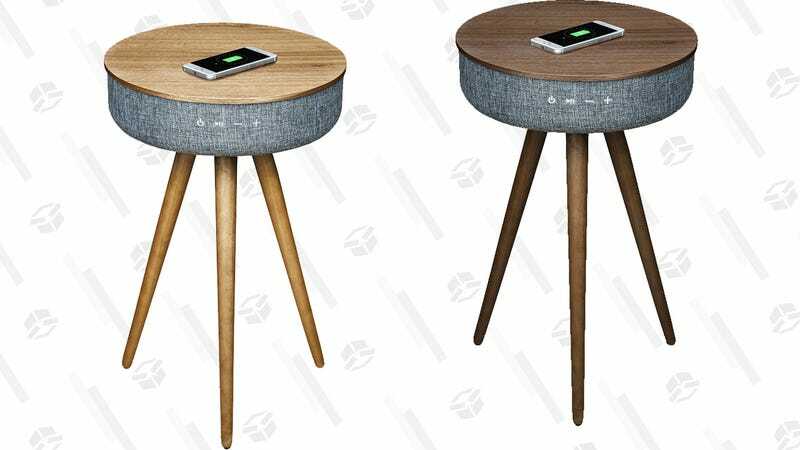 You know you’re living in the future when you can buy a table with a rechargeable battery. But don’t worry, the Sierra Modern Home Studio Smart Table can also be plugged in — the battery option is there so you can move it around and be totally free from the tethers of wired electricity. Let’s back up. Why does a table need power? Because it’s awesome and works as a wireless Qi charger. (All flat surfaces should have this feature, TBH.) On top of that, it has a built-in 360° Bluetooth speaker and a couple of USB ports for devices that aren’t equipped for wireless charging. I don’t know why Woot is offering it for only $180 today (rather than the regular price of $600), but I do know that it’s a great deal on a cool item. Isn’t that what we’re all here for?